Do you struggle to get views to your videos? Would you like to have more subscribers to your YouTube channel? As a creator, it is always exciting to create new videos. It can also be very frustrating when only a trickle of views and subscribers are generated by these videos, even after you have shared them. Thankfully there is a simple and proven solution to get views and subscribers. This solution is called organic traffic. Organic traffic means that people will find your videos without you promoting them. How will they find them? Simply as a result of their searching in YouTube or Google. Google is the largest search engine in the world and YouTube is the second largest search engine. Every day millions of people search for topics and view videos as a result. So why not your videos? With TubeTrackr you can drastically increase the discoverability of your videos. 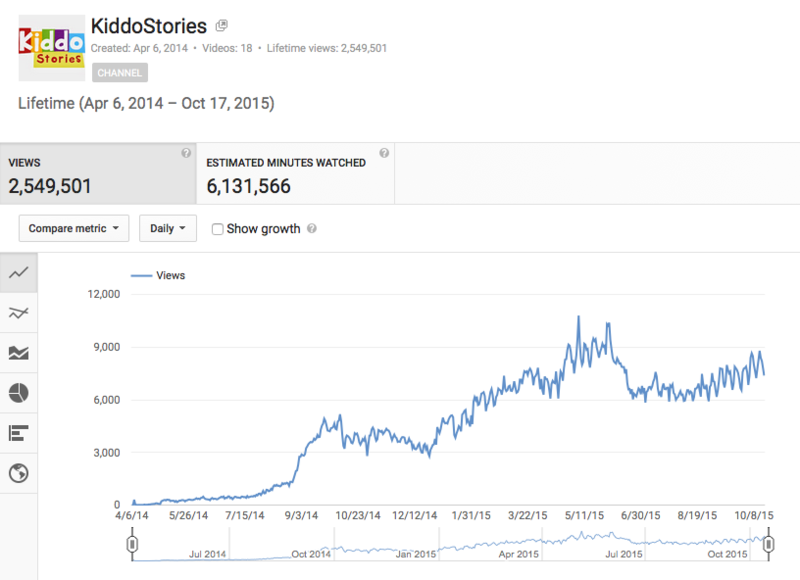 To demonstrate this we have created a small test channel with only a handful of videos called Kiddo Stories. Within a few months, this channel has reached a steady level of 8,000 views per day and more than 2.5 million views already. These views are coming only from organic traffic and only from using the TubeTrackr tools and nothing else. As you can see on the graph below, the views are coming only from YouTube search results, Google search results and suggested videos. No paid traffic, no social media and no other promotion. So, how do we achieve this and how can you achieve the same results? There are a few important criteria to rank high in YouTube and Google but even when you know them you can spend hours and hours researching and optimising if you don’t use the right tools. We were able to achieve this result just by choosing the right keywords, optimising our videos for these keywords and tracking our results. You can do all this in no time by using TubeTrackr. As you can see, a key strategy was to have the Exact Keyword Phrase (EKP) in the title and description to help rank our video better. And you can of course also access a large number of other tools to find collabs, create graphics and more. 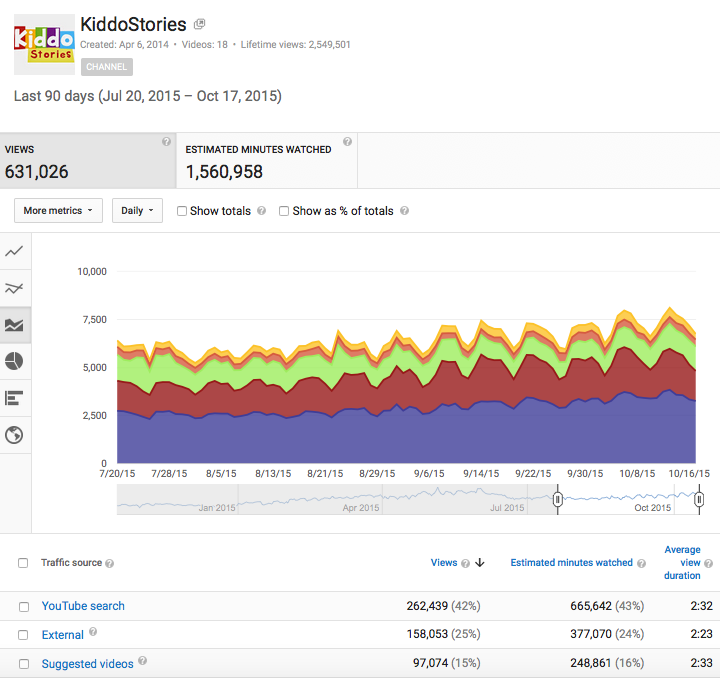 You can get the same results as us on Kiddo Stories and even better ones by using TubeTrackr and learning with the TubeTrackr training videos. Create a free account on TubeTrackr. This entry was posted in Video Marketing on by .